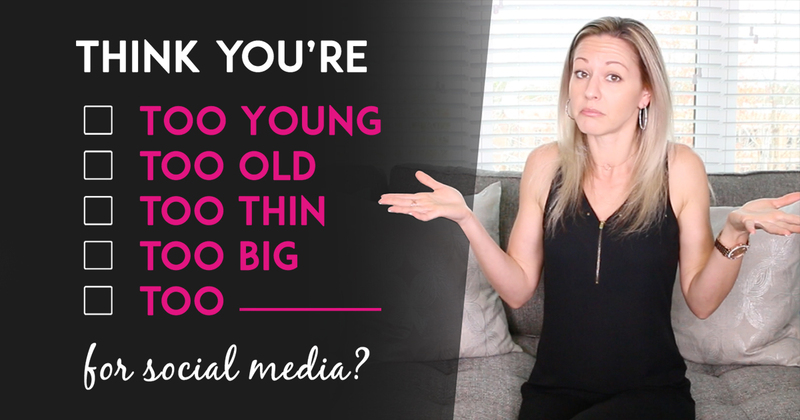 Want social media success but think you’re too old or not good looking enough to be on social media? A lot of people are hindered by the self-limiting beliefs they have about themselves and aren’t sure what they can do to overcome them. If that’s the case for you… then you’re going to get a lot of value from this episode. In this Episode of Tanya Aliza TV, I’m going to give you some really great nuggets that will help you if you’re thinking your not good enough to be on social media and it’s hindering you from growing your business and reaching your goals. This week since we’re talking about limiting beliefs and changing your mindset so you can go out there and make an impact in the world with your products, business or services. I’m going to give you 25 Daily Affirmations To Help You Increase Your Confidence And Your Paycheck. You can use these affirmations to help you boost your confidence so you can succeed in your business and have social media success. I’ve had a lot of people approach me and ask me for help with their ‘stinkin thinkin’ when it comes to social media. Now I know that we all have our own stinking thinking (myself included) but we gotta make sure we don’t let our thinking control us or hold us back from living the life we deserve. And how exactly do we do this? Well before I share some tips on how to overcome your limited thinking, I want to share a story that will not only help you get past your limited thinking but also empower you to take action. 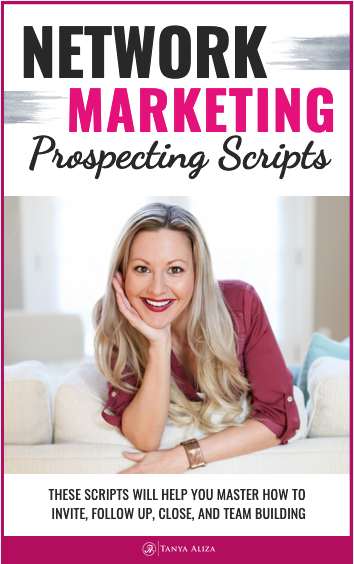 I have a high-level mastermind that I do every year and I teach a lot of technical stuff at this mastermind like creating funnels, building our email lists, our brand and most of this stuff is pretty advanced. And every year I make sure that I interview all the applicants first so I can be sure we get all the right people in. 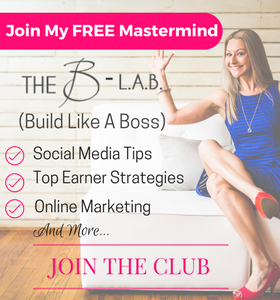 Well, a couple of years ago I interviewed one of the applicants that came to my mastermind. Her name is Penny Hunter and I was having a phone conversation with her and from the sound of her voice, I couldn’t tell her age. Now I’ll have to admit that my initial thoughts were that it would be highly unlikely that someone who is 82 would be technically inclined enough to be able to implement all the technical material we teach at the mastermind. And that was completely wrong of me and I feel terrible that I discriminated her because of her age. So I asked her how savvy she was on a computer and she went on to tell me about all the programs she uses and what she can do on her computer. And so Penny ended up coming to my mastermind and we had around 22 people there and during the more technical sessions where we all had our computers out and doing the work, she was blowing past some of the 30-year-olds that were there at the mastermind. And so that goes to show that the right MINDSET and ATTITUDE is what makes all the difference. This is why Penny had such a relatively easy time when going through all the material in my mastermind. She had a can-do attitude instead of a can’t do attitude. Social Media Success – What’s your attitude? 1️⃣Who’s going to listen to me on social media? 2️⃣Why would anybody want to follow me? Whether you think you CAN or you think you CAN’T…. YOU’RE RIGHT! If you think you’re too old, not pretty or handsome enough, not interesting etc…then you probably won’t ever start using Social Media to grow your business. People typically act upon what they believe so if you believe you aren’t cut out for social media then you’ll end up sabotaging yourself. Changing your beliefs should be the first thing you work on changing if you want to have social media success so you can grow your business. Thing is…most people think that they’re the only ones that feel like they aren’t good enough to be on social media but there are people out there that are just like you that you can impact, help and inspire. And these are people who need your business service or products and you need to be bold enough to get in from too them to help and inspire them. You also need to remember that you don’t need a million followers to be successful. If you portray the right message to your people you only need a few thousand and really only a couple hundred of the right people is enough to make a big difference. Don’t ever compare yourself to someone else because YOU are exactly who needs to be on social media. Trying to be someone you’re not will only hinder you from attracting the right people to yourself. Be yourself and the right people will be attracted to you. PRO TIP: Don’t be afraid to call out the elephant in the room and be vulnerable. Share your reserves and be transparent about it. If your shy let people know that and then back that up with your passion to help people and take a stance for something. And remember that to help you muster up the courage to be bold and get out there I’m giving you My 25 Daily Affirmations To Boost Your Success and Confidence. It will help you boost your confidence so you can get out there and crush it! This was one of the very ﬁrst books I ever read that taught me how to train my mind to become successful and to work my way into the top 1%. I read it each year as my New Year ritual and I learn new ways of thought each time that have helped my double my income each year for the past 4 years now. Did you get some value from these social media success tips? 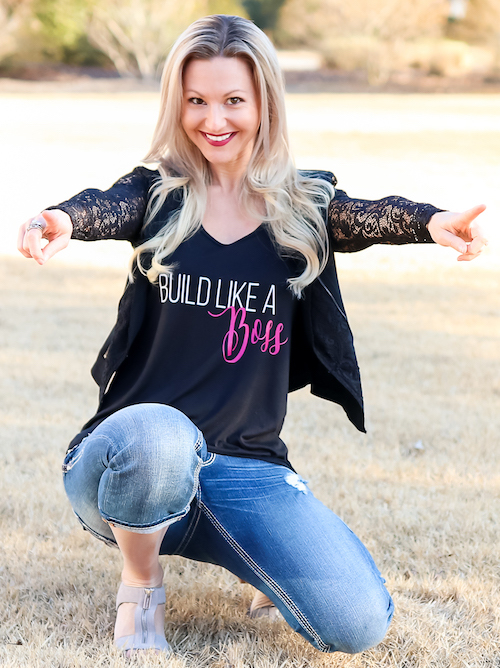 I hope you did because each week I put my heart into making sure you get some amazing social media success tips so you can rock it in your business while creating a life you love. Question of The Week: What’s one self-limiting belief that you’ve gotten over or you’re trying to get over that you think might be holding you back?